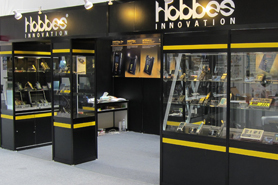 Hobbes & Co., Ltd. would like to announce that we will be exhibiting at the 2012 COMPUTEX TAIPEI. In this year’s Computex Taipei, we will announce the new products TEST-i Pro, GIGATEST, SMARTFinder and INNOTEST. Please welcome to visit us at booth D0618 and we are looking forward to see you.